Our last update to search was over four years ago. Since then we have had a lot of feedback from you and learned how we could improve. 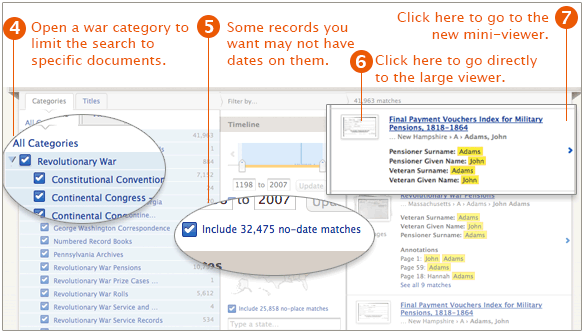 Today we introduce a new search experience focused on improving search quality and speed to help you find your ancestors. We knew that changing the interface could disrupt the daily work flow of many, but we believe these changes will serve you better in the long run. 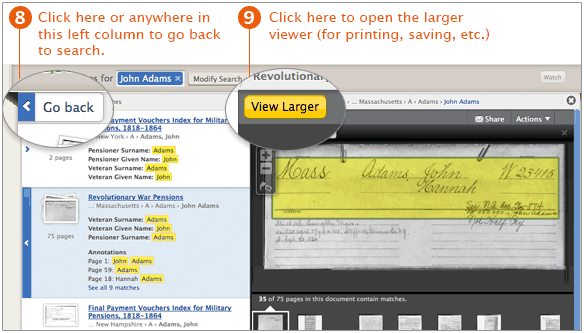 Get started with these nine quick tips on using the new search and let us know what you think. 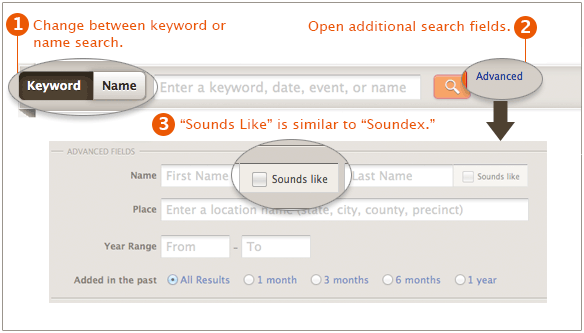 Searching is an art: Try different approaches to your search for maximum benefit. The Mini-viewer is a quick way to scan several documents. The Full Viewer is still there for a better look at an individual document. Watch this video for even more. What version of Firefox do you have? I cannot search anything with the new search feature. Please put back the old search, This is not working and I am not a computer techie. I want the old search back please, nothing is coming up. We are working on a few bugs still, in the meantime could you let us know what browser you are using. Like is it Internet explorer vs 8? I’m going to end my subscription at the end of the month. The new search is just awful. I can access it and all, it is just too cluttered of a screen now. I’m a county Genealogical Historian and I think this is just slowing my work up now. The new search is awful! I cannot see the third column of results at all so I can search to my heart’s content but I can’t access anything. My membership is useless and I plan to cancel my account very soon. I am using Google on a Mac – the latest version of Chrome. I don’t think you should have rolled this out when it obviously doesn’t work for many people. Fix the bugs first!!!! !